Summer Streets is back! 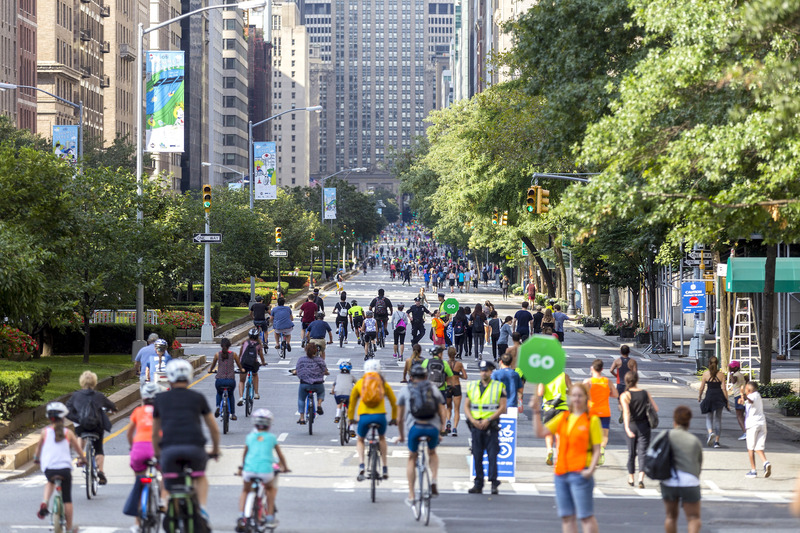 Starting August 4, New Yorkers can enjoy seven miles of car-free fun along Park Avenue, from Central Park to the Brooklyn Bridge. As part of the Department of Transporation’s 11th annual event, activities will be offered on three Saturdays in August, from 7 am to 1 pm. 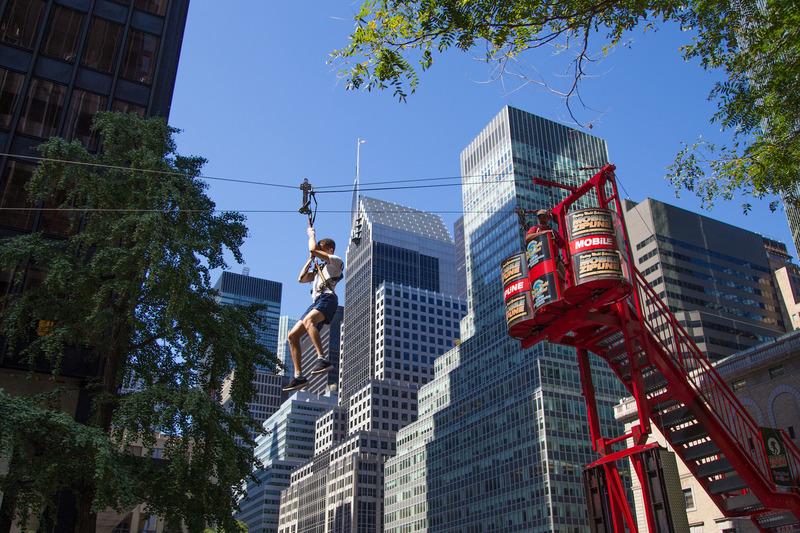 While there’s sadly not a dishwasher-looking waterslide this year, there will be a 165-foot-long, 30-foot-high zip line, fun hand-cycles to test out, and an eight-foot-tall bouldering wall. Summer Streets will take place on August 4, 11, and 18 from 7 am to 1 pm. The route runs along Park Avenue, Lafayette and Centre Streets from Central Park to the Brooklyn Bridge. 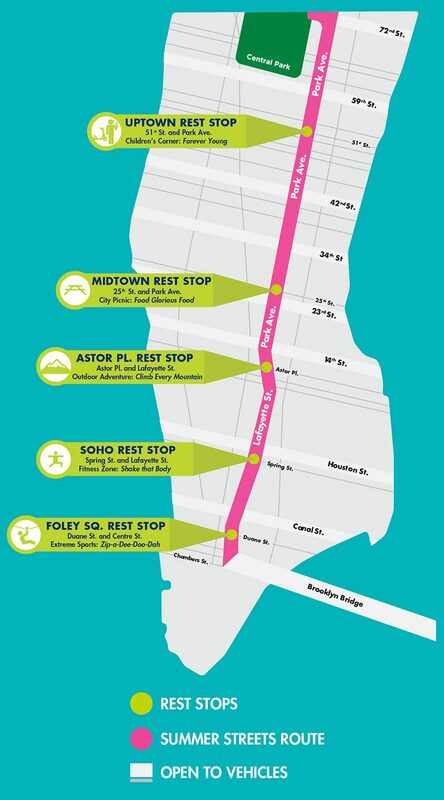 Get all of the details for this year’s Summer Streets event here.